The Digital Policy Alliance's work focusses on the huge potential of digital technologies to build a stronger economy and more efficient and inclusive public services. 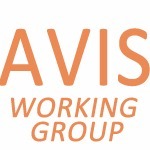 Our technical working groups have produced expert reports and recommendations to Government for over 20 years. Details of our previous work is available on our old website at www.eurim.org.uk. If you have a specific area of policy you feel needs to be addressed from either an industry or government perspective, please contact us. Act as a policy leader on digital economy issues during the Brexit negotiations, and in the post-Brexit world. Comment authoritatively on the impact on the UK digital sector on potential policy choices as the Brexit transition progresses. Investigate and make recommendations on the transitional arrangements flowing from the Great Repeal Bill, highlighting the issues of concern for the digital economy. Employ the DPA’s political links to ensure that these issues are subjected to rigorous parliamentary scrutiny, especially where delegated legislation might be invoked. Advocate necessary actions to ensure that the UK can continue to succeed in the global digital economy. Platforms, cloud computing and consumer issues. 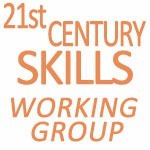 The 21st Century Skills Group aims "to help pull forward the changes necessary to cater for a world in which demand for basic aptitudes, attitudes and disciplines changes slowly, if at all, but the rate of change in demand for specific skills is accelerating". Demand for the latter can emerge and die before current planning cycles can respond. The skillsets now in demand also cross sector, professional and academic boundaries in ways which current consultation, planning and funding processes cannot handle. 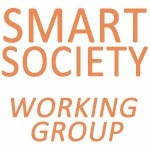 The objective is to examine new impacts on upcoming policy which may arise from the huge increases in scale, ubiquity, processing capability and interconnectivity forecast for smart devices and the “Internet of Things” (including machine-to-machine interfacing). 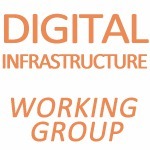 The overall objective of the group is to expedite investment in the socially and geographically inclusive, world class, converged, future ready, digital communications infrastructures that are essential for the UK to be competitive post Brexit. “Future ready” means capable of incremental upgrade to meet the needs of smart communities (retail, telecare, transport, buildings, cities etc.) including the reliability, resilience and inter-operability (across application areas) of networks and data. The Age Verification & Internet Safety Group aims to identify how rigorous age verification controls in tightly regulated industries such as gambling or adult entertainment might be applied more generally for child online protection, and assist in their implementation. Guidance to Age Verification Regulator. 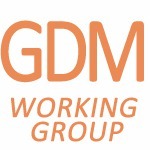 The Cyber security and E Crime Group aims to create, identify and support key partnerships to cut online crime and nuisance, reduce risk, increase awareness and confidence in online safety/security and establish UK leadership in Internet policing and governance. This activity has implications for both consumer and business confidence in the online world, as well as delivering a secure consumer/commercial environment which underpins UK competitiveness.